Home » Green sculpture » Official planning consultation has started! 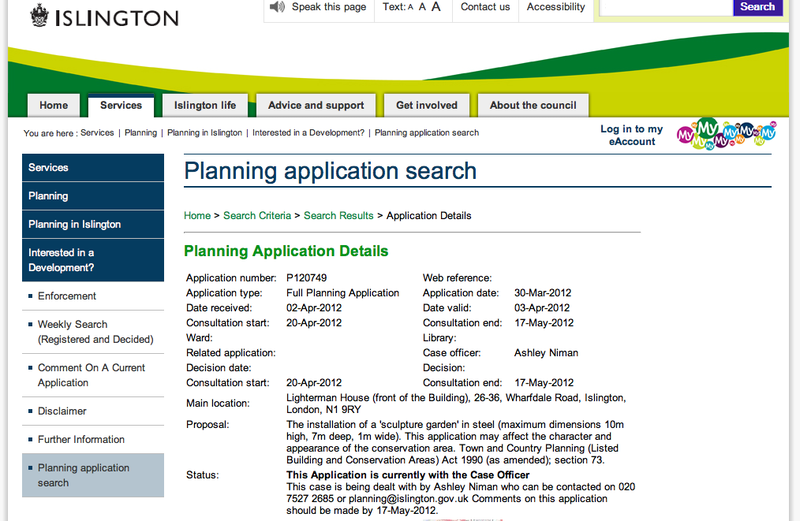 Comments Off on Official planning consultation has started! LB Islington sent out letters which arrived all over the local area yesterday inviting comments on the greenwall project – aka, a sculpture garden in steel. Comments can be made to the council by 17 May. 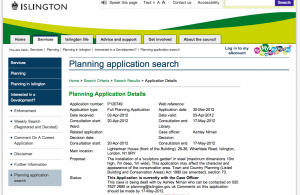 To find our planning application online, click here and search for application number P120749. We are keeping everything crossed!